Spanning multiple genres, including pop, rock, hip-hop, R&B, country, and more, the Grammys has returned to New York city this year and will take place at New York's Madison Square Garden on Sunday, Jan. 28, 2018. 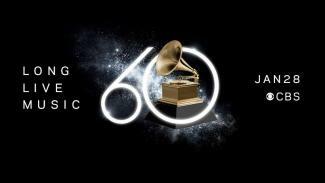 The 60th Grammy nominations were announced on November 28, 2017 and the Sunday night ceremony will recognize the best recordings, compositions and artists of the eligibility year, which ran from October 1, 2016 to September 30, 2017. The telecast will be broadcast live on CBS at a new time: 7:30–11 p.m. ET and 4:30–8 p.m. PT and you can check out NightlifeTelevision.com, Nightlife.net, & Musicland.net throughout the night for live social streams of some of the action and festivities going on in & around New York city.